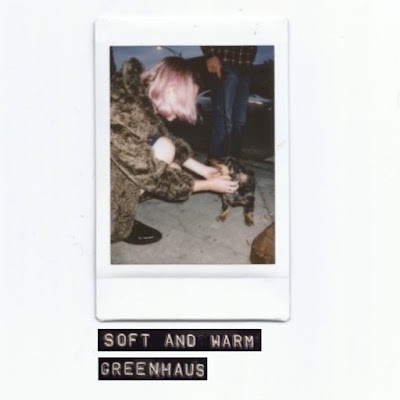 Greenhaus is the musical equivalent of your softest blanket. Sorry to be that person and remind us all of the Backstreet Boys, but it doesn’t matter who you are, where you’re from, or what you do—all of us, at some point or another, find ourselves speeding through life a little too quickly for our own good. It’s problem that I' all too familiar with—I have a bad habit of convincing myself that I need to constantly be doing something. I rarely spend an entire day at home; I’ll make up reasons to drive to Target or shop downtown, just to go. So, a few weeks ago when I contracted conjunctivitis (a.k.a. pink eye, a.k.a. gross) in both eyes, it wasn’t being sick that stressed me out—it was the thought of being in quarantine. I thought I was going to die, having to sit in bed all day and binge-watching Project Runway, not leaving my room for any reason. However, by the fourth day, I realized… that I was actually…enjoying myself? Slowing down for a few days hadn’t been such a terrible thing after all, and when I finally left my house and got back to work, I was reminded of something that I think deep down we all understand but often overlook: life isn’t all about parties, road trips, fancy dates, fireworks, etc. The small things—a blanket fresh out of the dryer, sharing a bed with a loved one, making breakfast in the morning—comprise the majority of our personal experience, and they too deserve attention and a little appreciation from time to time. On their debut EP, Madison artist Greenhaus bids us busybodies to stop and sit down with them for a moment, while they sing about the more delicate aspects of life, love, and heartbreak. Soft and Warm is a short listen, and just as cozy as its name suggests. In just under 15 minutes, Greenhaus manages to wrap us up in a big quilt and serenade us to sleep before tiptoeing quietly out our bedroom door. Each song is understated and sparse, featuring a muted arrangement of wobbling synths, plucked guitar, hushed vocals, and gentle spoken-word samples. Greenhaus’ lyrics evoke a melancholic sadness, but not with the stereotypical talk of crying and eating whole gallons of ice cream. On “Sweater,” they reflect on some of the most heart-wrenching aspects of a breakup: no longer being able to share each other’s clothes, see each other’s pets, or catch rides with one another. Soft and Warm points out the soft and gentle in an otherwise rough world, despite how bittersweet those bits may be. From track one to track five, those of us who don’t like stopping (i.e. myself) are reminded that being comfortable is not a crime, staying home is not a waste, and missing someone is not a sign of weakness. I sure hope you have your favorite comforter and worn-in sweatshirt nearby— you’re going to need it. Listen to greenhaus on bandcamp.